The Lord spoke these encouraging words to Joshua as he prepared to lead his people into the Promised Land. It was an amazing adventure of God’s faithfulness. Yet, it was also a scary proposition for Joshua, as the Lord had to continually remind him to be strong, courageous, and not be afraid. The past couple months, Corporate Care has been an adventure, and it’s been a great comfort to know that the Lord is with us wherever we go. 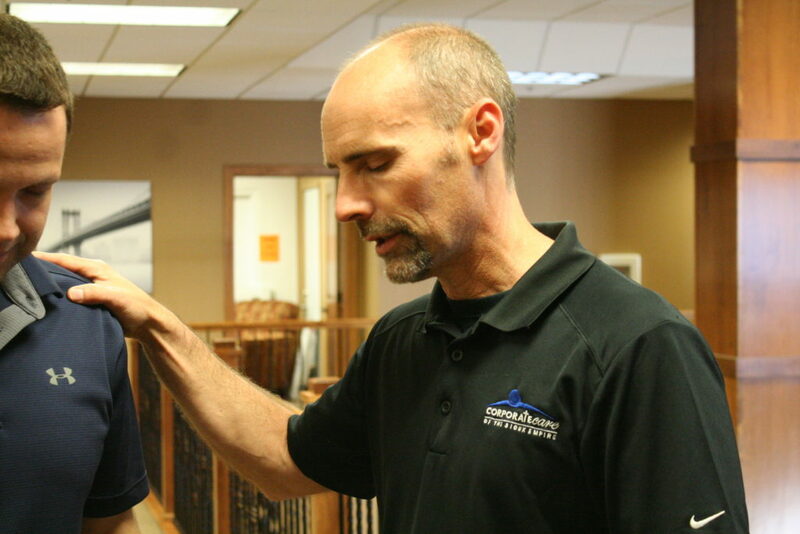 We have seen God open the doors to care for another 200+ employees in a new southwest Minnesota business. In our workplaces, multiple employees have become interested in attending local churches. We have gospel-sharing opportunities with people of other faith backgrounds. One of our chaplains had the opportunity to share the gospel with a Scientology background recently. This employee openly responded, “I’ve never heard that before and will have to think about that more. Let’s talk again.” Corporate Care also sent a team for a second trip to Uganda. On this follow-up trip, we saw several motorcycle taxi drivers profess faith in Jesus Christ and join the local church. One of these taxi drivers is the chairman of the motorcycle association who oversees the 250 local motorcycle taxi drivers. We now have a Ugandan serving as a chaplain to these bikers. Also, through a local workplace Bible study, several employees have confessed their struggle to fully commit their lives to Jesus Christ as we’ve studied the book of Acts together. Through this weekly time, we’ve been able to openly address their struggles and consider what God teaches about following him daily. These are some great ways Corporate Care has seen the Lord be with us wherever we go. We are so thankful for the opportunity to share Christ with these employees in different places. Seeing God go with us powerfully and open up these places in the people’s hearts, so that they would consider Jesus Christ. Your prayers and financial gifts enable Corporate Care to boldly go with God into these different workplaces weekly. And we’ve seen God provide for us, so that we can continue to go into the places that the Lord is calling us to go. Would you consider a special gift to our work to meet some immediate needs at this time? This summer has been a lean giving time with the absence of some larger one-time gifts. Thanks so much for your empowering partnership in this gospel work.